"Hey, Cortana, save me money." That's what a lot of you might as well be saying thanks to a new Windows 10 feature. If you use Microsoft Edge on Windows 10 you'll be able to go to a retailer's site, click on the Cortana icon in the address bar and you'll be shown the best available coupons for products and services. Think of this as a way to take advantage of technology like RetailMeNot without actually having to go to a third-party site. The coupon feature is a pilot program that Microsoft will be testing over the coming months as it expands its retail participation. The current list of partners includes Staples, Macy's and Best Buy. The technology is made possible by a company called Shopular, which provides coupons to customers via a mobile app. Additionally, Cortana will help you find additional information on restaurants, such as operating hours, directions, a menu, reviews and reservation options. 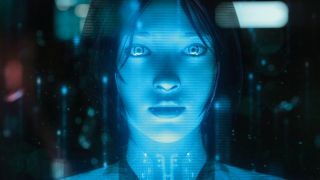 Cortana has been traditionally used to search for static information or to automate tasks within the Windows 10 operating system. For example: you could ask Cortana for the weather, or you could ask it to start an email to a friend. Recent Cortana developments have made the system smarter by allowing it to scan your email to automatically track flights and shipments. But the new feature requires third-party partnerships and (I assume) exclusive discounts and opportunities available to Windows 10 users. So instead of logging onto Groupon or RetailMeNot in search of a coupon or deal, you can simply click on the Cortana icon without ever having to leave the retailer's website or the Edge browser.